Andrew Yang is a 44-year-old entrepreneur, the child of Taiwanese immigrants, and a first-time presidential candidate. A Phillips Exeter Academy alum and a married father of two, he graduated from Columbia Law School and worked briefly as a corporate lawyer before striking out as an entrepreneur. Yang gained widespread recognition — including from the Obama administration — for starting the nonprofit Venture for America, which helps entrepreneurs build businesses in cities across the country. Yang filed paperwork to run for president in 2017, and quickly staked out his signature issue: giving every American adult a basic income. On March 12, Yang’s campaign announced he had passed the Democratic Party’s threshold to take part in the first primary debate. Economy: Create a universal basic income. Yang’s campaign is centered on “The Freedom Dividend,” his plan to pay every American — starting at age 18, and regardless of employment — $1,000 per month. He argues the dividend is needed to boost workers losing jobs to automation and other technological change. Yang has said he would pay for this form of universal basic income “by consolidating some welfare programs,” and imposing a 10 percent value-added tax on goods and services, which he estimates would generate up to $800 billion in revenue. Yang also supports changing how the U.S. measures economic success, by moving away from traditional benchmarks like GDP growth and the stock market and focusing instead on the country’s standard of living, life expectancy and other metrics. He would also develop a new U.S. currency called a “Digital Social Credit” that could be exchanged for real dollars. Health care: Medicare for all. Yang has called the Affordable Care Act a good first step but believes the law didn’t do enough to reform the nation’s health care system. He would shift the country toward a single-payer system, with a focus on salaried physicians and holistic medicine. The entrepreneur’s health care platform also focuses on mental health. He has proposed funding artificial intelligence efforts that could improve mental health services and would create a “White House psychologist corps” that would evaluate and screen administration staff. Immigration: A pathway to citizenship for undocumented immigrants. Yang would create a new “tier of long-term permanent residency” that would allow immigrants who are in the U.S. illegally to attain citizenship in 18 years. If they register for the new tier, undocumented immigrants who have lived illegally in the country for “a substantial amount of time” would be able to work and live in U.S., while they wait to become citizens, so long as they pay taxes and do not receive any felony convictions. As part of his immigration plan, Yang would also boost funding for U.S. ports of entry, improve technology to secure the southern border and strengthen environmental protections along the Rio Grande. Yang also supports the DREAM Act, a proposal aimed at protecting young undocumented immigrants who were brought to the country illegally as children. Foreign policy and defense: Supports NATO, would create a secretary of cybersecurity. Yang believes in NATO and other international alliances, and would institute regular Pentagon audits. He would repeal the “Authorization for Use of Military Force” enacted after the Sept. 11, 2001 attacks, and hand the power to declare war back to Congress. 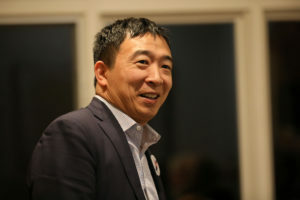 As part of his focus on reducing military spending, Yang would redirect 10 percent of the annual military budget to a domestic infrastructure initiative called the “Legion of Builders and Destroyers.” He would also create a secretary of cybersecurity position. Social issues: Pro-choice and supports LGBTQ rights. Yang says he supports a woman’s right to choose, and would nominate judges who share the same opinion. Yang would support legislation protecting people from discrimination based on gender identity and sexual orientation. 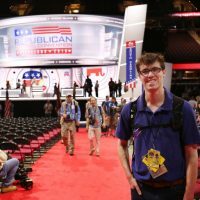 He also would nominate LGBTQ individuals to serve in high-level jobs in his administration.